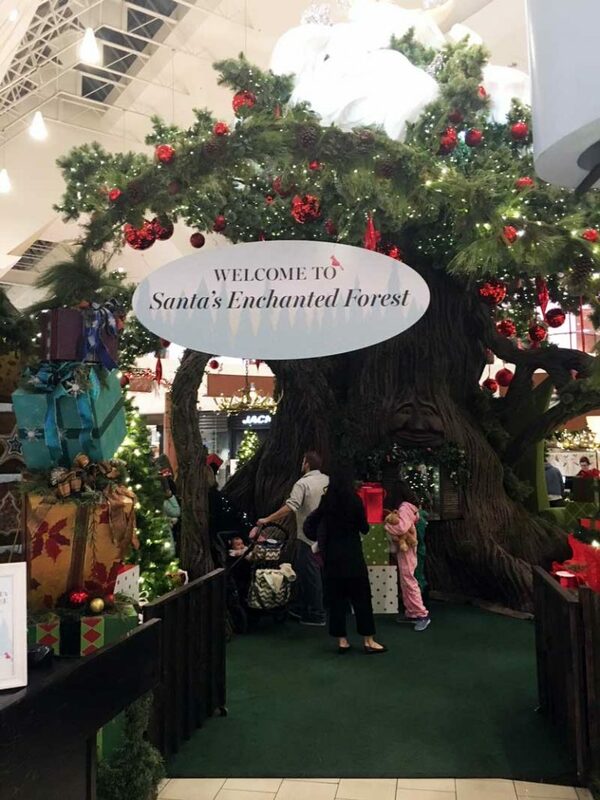 Head on over to the Inner Circle area on the main floor where you will find Santa’s Enchanted Forest. Southcentre Mall is offering discounted photo packages throughout November. 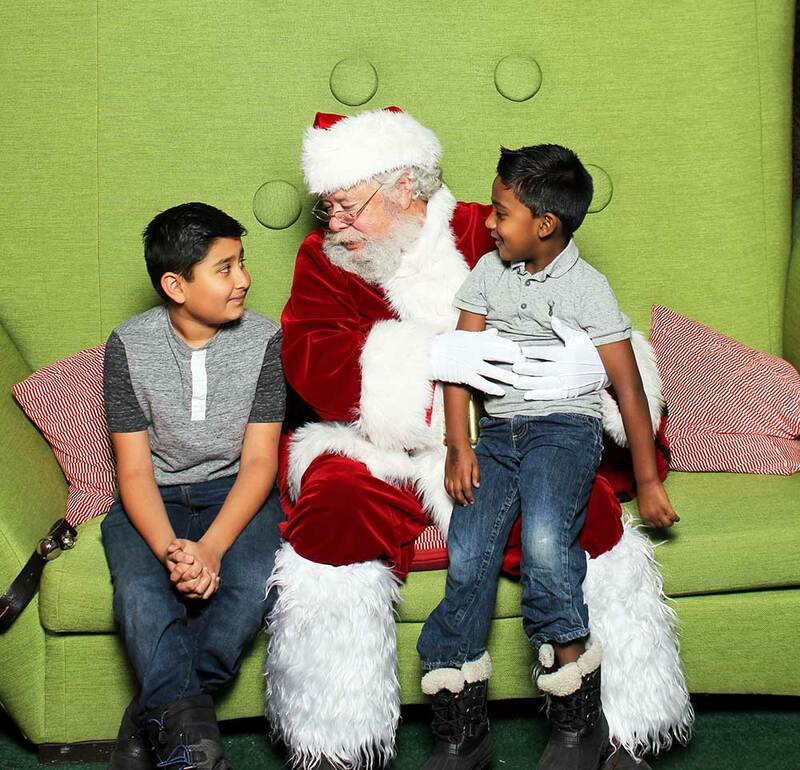 Guests who visit Santa in November will receive a $5 from their photo package. You have a couple more days to take advantage of that offer. Don’t like waiting in line? The Virtual Lineup system is back! 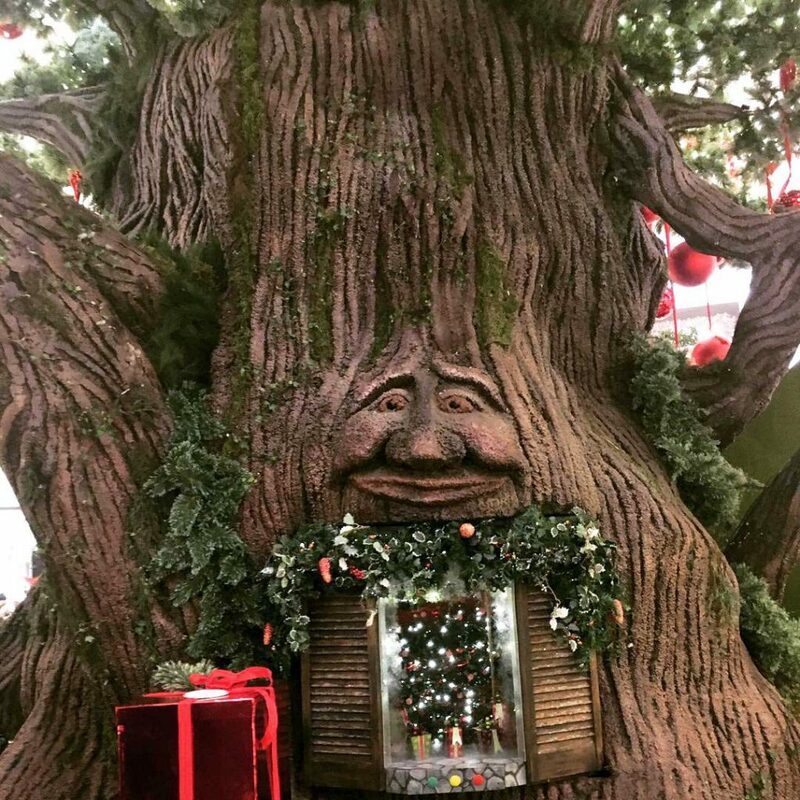 If the wait time to see Santa exceeds 30 minutes, you will be issued a numbered ticket to hold your spot, and Southcentre will will take your phone number to send a text message when the lineup is down to a shorter wait time. 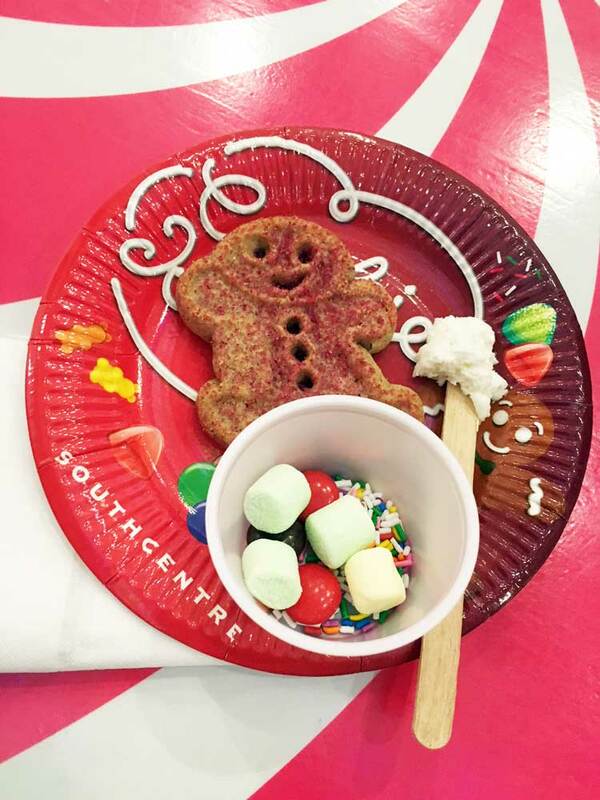 Enjoy the holiday festivities at Southcentre, grab a bite or catch up on some shopping while you wait your turn to see Santa. Once you receive the text to return, a screen at the lineup entrance will indicate your ticket number being accepted, and allow for a reduced wait time (approximately 30 minutes). Perfect when you have little ones. 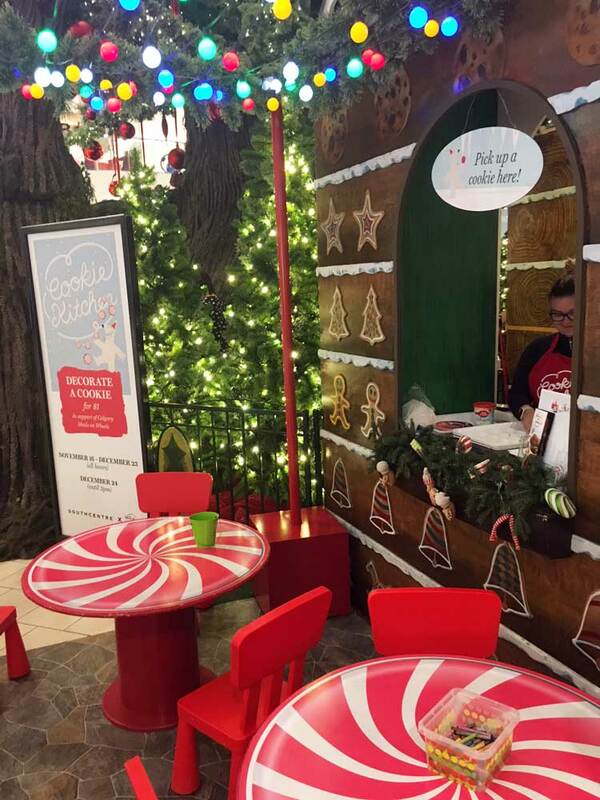 Located right beside Santa’s Enchanted Forest is the Cookie Kitchen. Come decorate a cookie for $1. All proceeds will support Calgary Meals on Wheels. 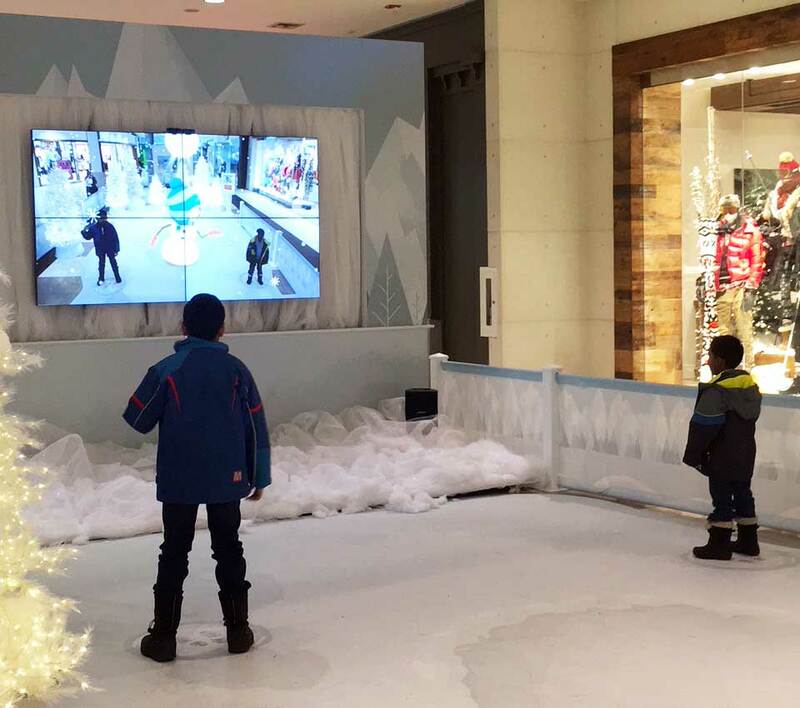 Located beside Sporting Life is the Frozen Forest where you will find Sammy the Snowman. 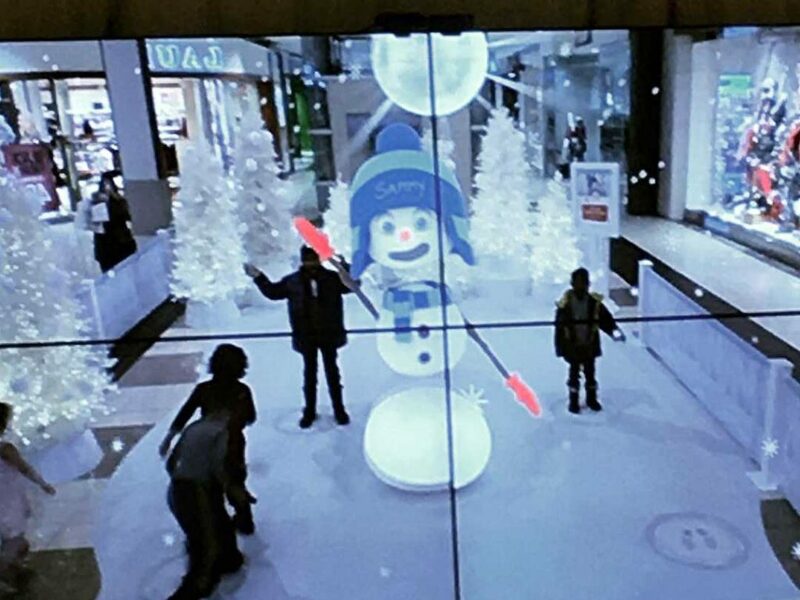 The unique and all-new Sammy the Snowman holiday augmented reality experience is exclusively at Southcentre Mall this holiday season. The kids had fun, especially doing the floss with Sammy. It’s a short and fun little dance party – super cute! For more information, head on over to Southcentre’s website.